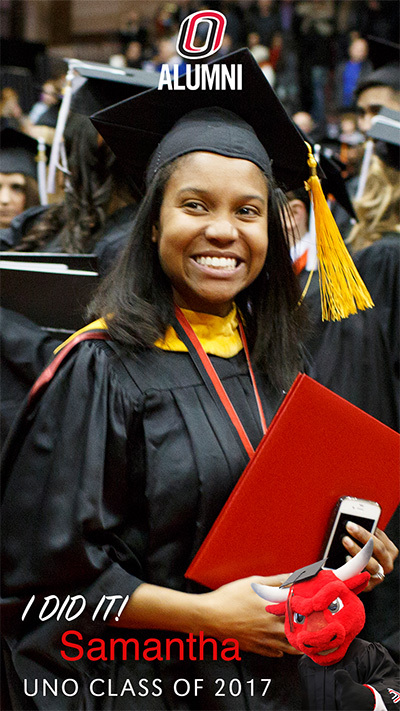 Save the date — THURSDAY, MAY 2 — for the UNO Graduation Celebration for December 2018 and May 2019 grads. Here are a few more ways we're welcoming you into the worldwide UNO alumni network of more than 108,000 graduates.Congratulations — we'll see you Dec. 15! Join fellow alumni, students and other Mavericks helping the community at our second UNO Alumni Global Day of Service set for Saturday, March 23. New grads can get a free UNO Alumni Card, good for 1 year. The card provides a variety of benefits, including library access, the opportunity to purchase a Campus Rec pass and more.